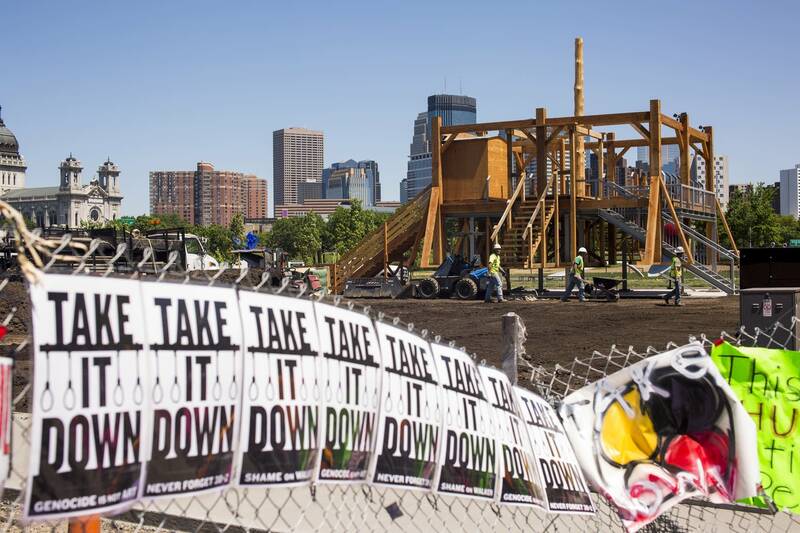 After a Dakota ceremony set for Friday, a crew will begin dismantling the controversial sculpture "Scaffold" at the Minneapolis Sculpture Garden, and the artist who made it says he will never erect it again. The sculpture, which contained elements of seven different gallows, drew sharp objections from the Dakota community for its reference to the scaffold used to execute 38 Dakota men in Mankato following the 1862 U.S.-Dakota war. After days of negotiations among the Walker Art Center, Dakota elders and the Minneapolis Park Board, plans were announced Wednesday to tear it down and burn the remains at Fort Snelling, where hundreds of Dakota people were imprisoned after the war. The artist, Sam Durant, was present for Wednesday's announcement. He apologized and said he should have spoken with the descendants of those who perished on the gallows in 1862. "I've done historical research and archival research, but I have not met with the people who have been living with the effects of this," he said. Meeting Dakota people in recent days has changed his outlook, he said. 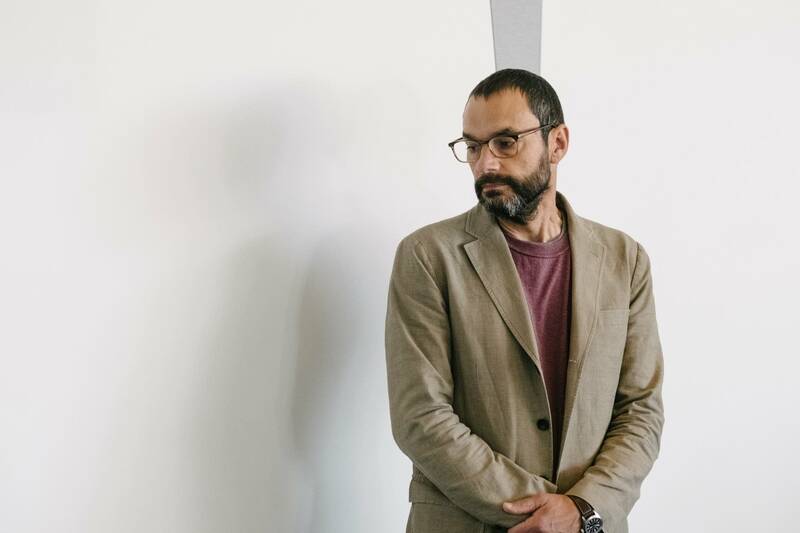 "Again I just wanted to apologize for the trauma, the suffering that my work has caused." Details remain to be ironed out, but a Dakota construction company will begin dismantling "Scaffold" after a Dakota ceremony Friday. To remove the wood is expected to take four days; the metal support work will take longer. The timber will be piled on site until it is taken to Fort Snelling. The posters and banners protesters attached to nearby construction fencing will remain in place until all the "Scaffold" material is removed. In addition, the Walker says it will work to improve its communication with the Dakota community, and will look to commission work by Native artists, possibly including a piece to fill the site left empty by "Scaffold." Dakota elders got what they wanted: removal of the sculpture. But they also repeatedly made the point that nobody at the Walker or the Park Board had contacted them before the piece was installed. Elder Sheldon Wolfchild described that as beyond comprehension. "They should have researched this," he said. "They should have come to our Dakota elders and people and asked them. Why didn't they do that? Because they were not taught in our educational system historical truth about the real story of the 1862 war. That is why." Executive Director Olga Viso said Walker staff had also learned from the experience, and she said there will be changes in how the center operates. She promised continued efforts to diversify both the board and the staff. She pointed out that "Scaffold" refers to several executions, and that when she and other staff first saw the piece in Germany, the reference to the Dakota war did not stick out. That changed, she said, when the piece began going up in Minnesota. "In this context and in this place the Mankato structure just had a different register," she said. "And that context really mattered and as we came to understand that, I felt, our board felt, the institution felt it was really important to acknowledge that." The reopening date for the Minneapolis Sculpture Garden is June 10.